sonaze forever!. . Wallpaper and background images in the SONIC COUPLES club tagged: sonaze. 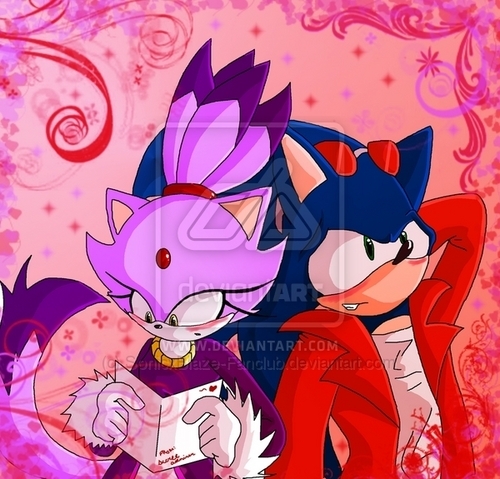 This SONIC COUPLES photo might contain anime, grappig boek, manga, cartoon, and stripboek. uuuugh who would ever think sonic an blaze would get together? Hi, I'm the original artist of the picture. Alrhough I'm happy you like my art, could you please remove it? :) Please remove it? i think the card says "oh Blaze i love you so much." i think there da best sonic couple! !